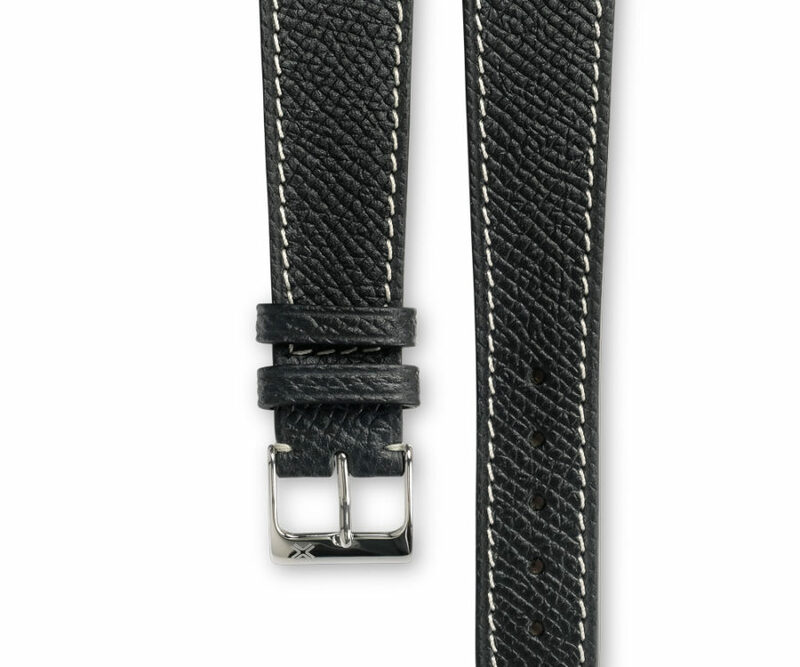 Grained deep black with cream stitching. 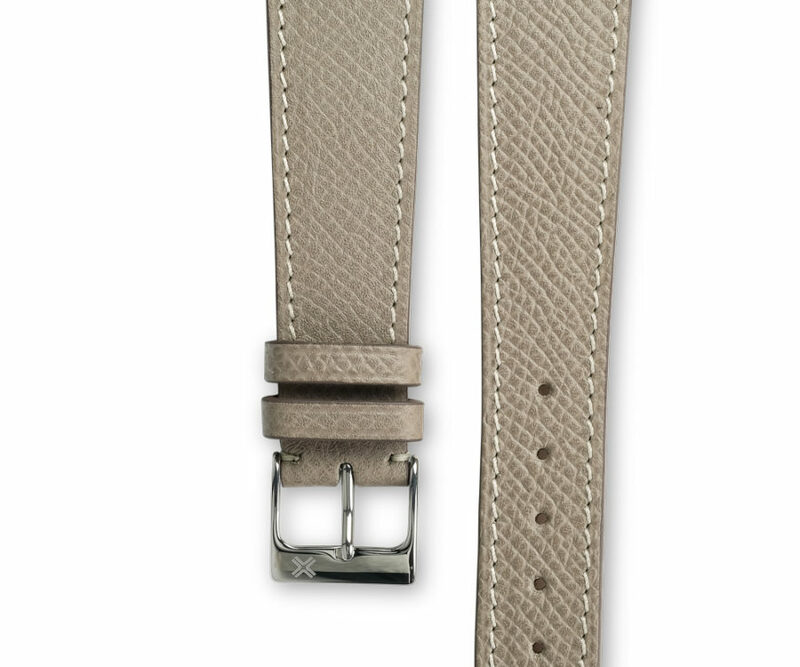 Also available in tone-on-tone stitching for an ultimate luxury classic style. 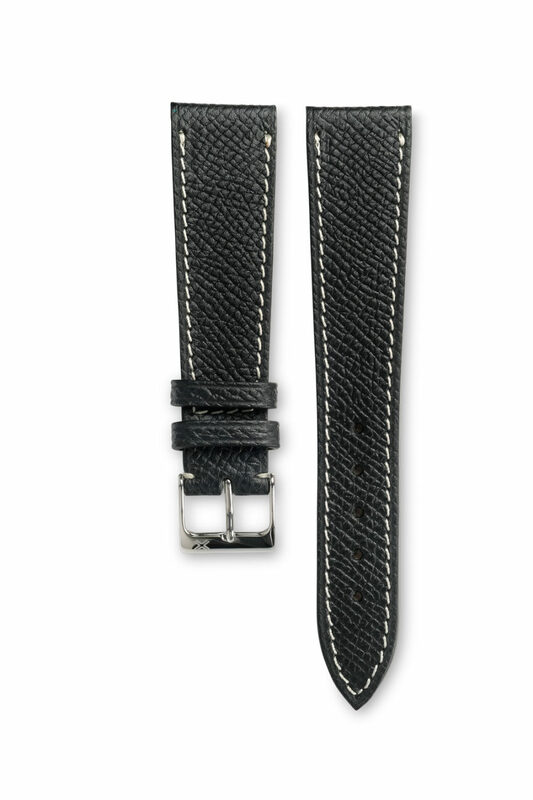 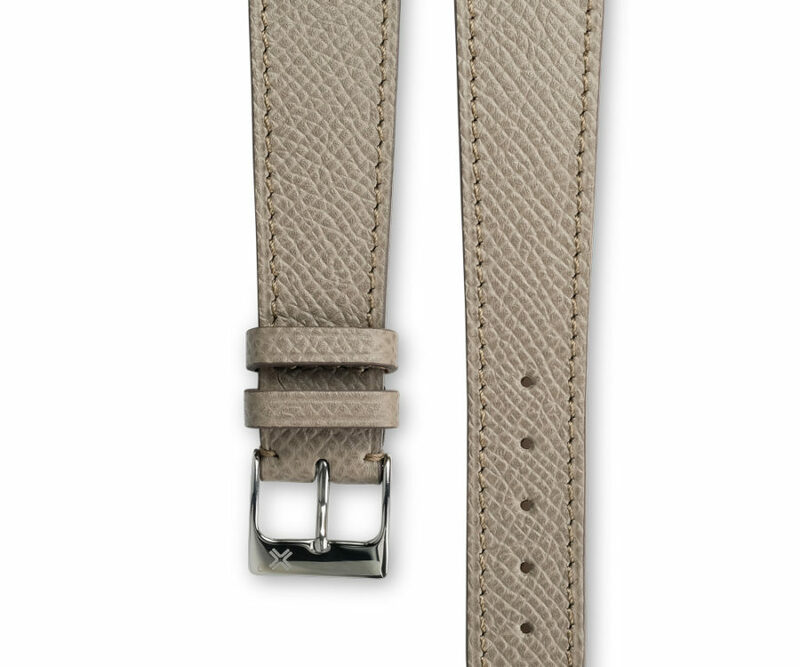 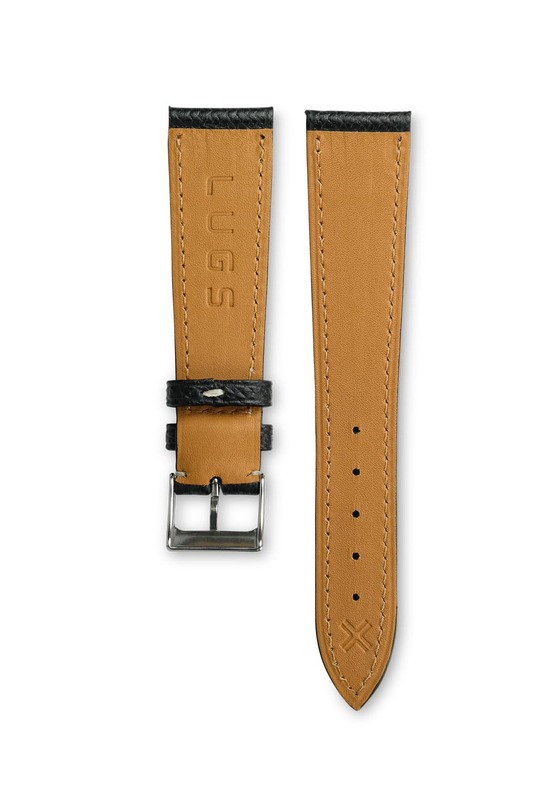 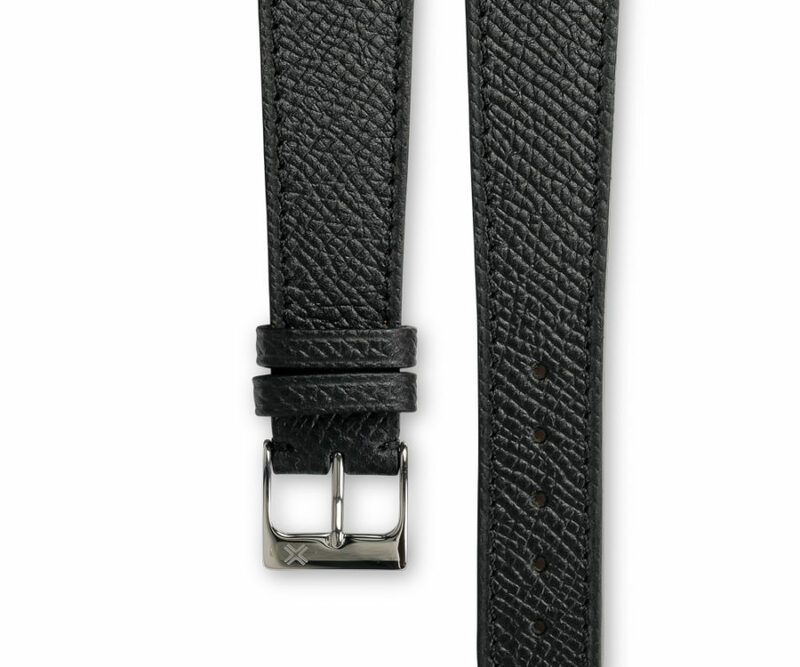 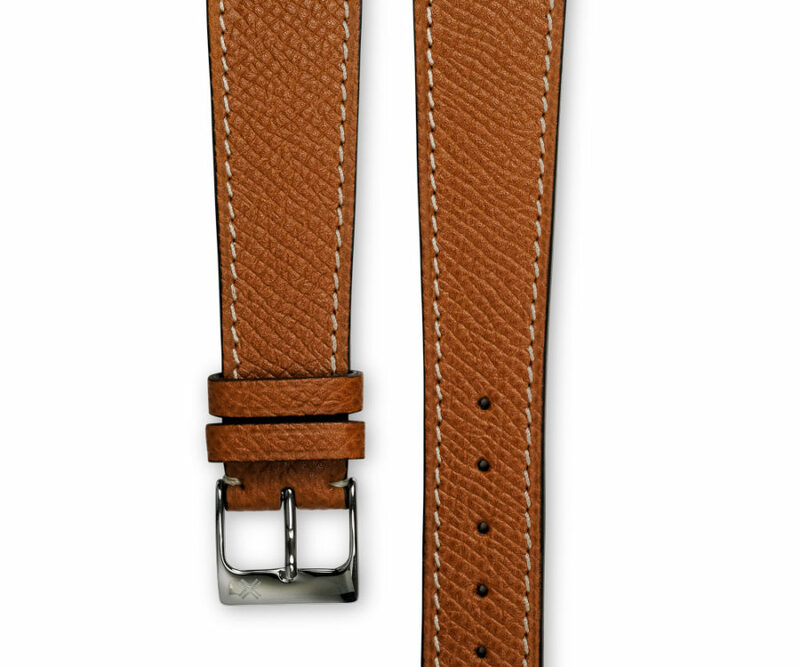 Also discover the same model of watch strap with a cream stitching for an ultimate luxury classic style.